Kevin Young and his wife Shannon have traveled together for half of his 16 year truck driving career, enjoying “the freedom of the open road and not having a boss standing over your shoulder.” Together, they’re on a mission to get the sense of community back in the trucking industry using new technologies like Trucker Path and podcasts. Kevin Young knows the secret to keeping a relationship happy and healthy while on the road. 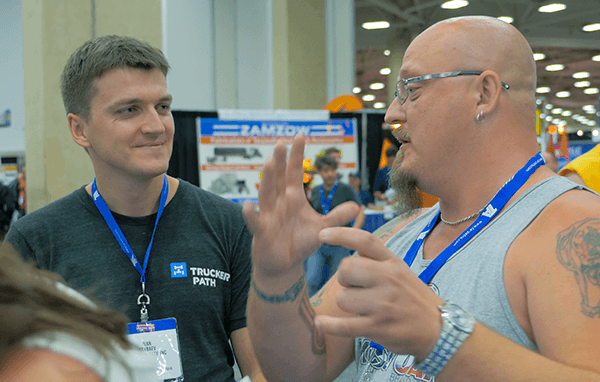 At the Great American Trucking Show (GATS) in August, members of the Trucker Path team got to hang out with Young, a third generation trucker, and his wife Shannon in their truck. When they need a break from one another, Young and his wife enjoy stops along the way like GATS and MATS. In fact, they even got married at MATS in 2013. Even the Wall Street Journal looks to Young for insight on trucking. 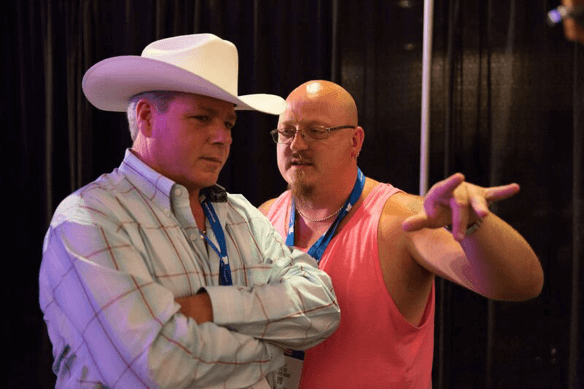 Young said truckers come to GATS to learn about all the latest gadgets and technology in the industry. He said it’s important that truckers keep up with technology trends. Along with over 400,000 other truckers, he and Shannon have turned to Trucker Path for help on the road. 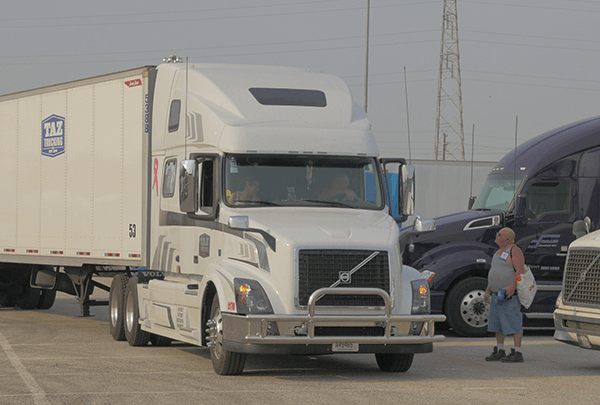 Young is hoping the Trucker Path Pro app will help with a growing issue in trucking – community. He said that, while there’s a strong sense of community at events like GATS, that hospitality doesn’t always shine out on the road. After a flat on his trailer’s back axle in the fall of 2000, Young says other drivers stopped to help him right away. Nowadays, however, he fears that sort of camaraderie is fading from the industry. Young is on a mission to get that community back. He’s starting a podcast called Truckin Round Up which brings together the elements of old school trucking with the trends of new school trucking. Young’s podcast will take the form of a talk show full of interview segments with others in the industry. In it, Young plans to discuss new technology like Trucker Path that can keep old school trucking relevant. When Young isn’t recording his podcast or driving his truck, you can find him helping his wife Shannon learn to drive. Special thanks to Kevin and Shannon for sharing their stories with us and for their support of the Trucker Path app.